This is my first video blog so bare with me. I look terrible lol but its not about me it's about the product! This is the before vid! here is the after vid i did. So I didn't pre-soak my whites because I wanted to see what it would do without having to. It did get some of the stains out of the towel and the sock but they still looked really dingy. The directions say that I can pre-soak in a mix of Oxiclean White Revive and some water for 6 hours, so that is my next step. I washed them with the Oxiclean laundry detergent and the Oxiclean White Revive. Both of which I received free through Smiley360!! I will post an update the next time i do some laundry!!! 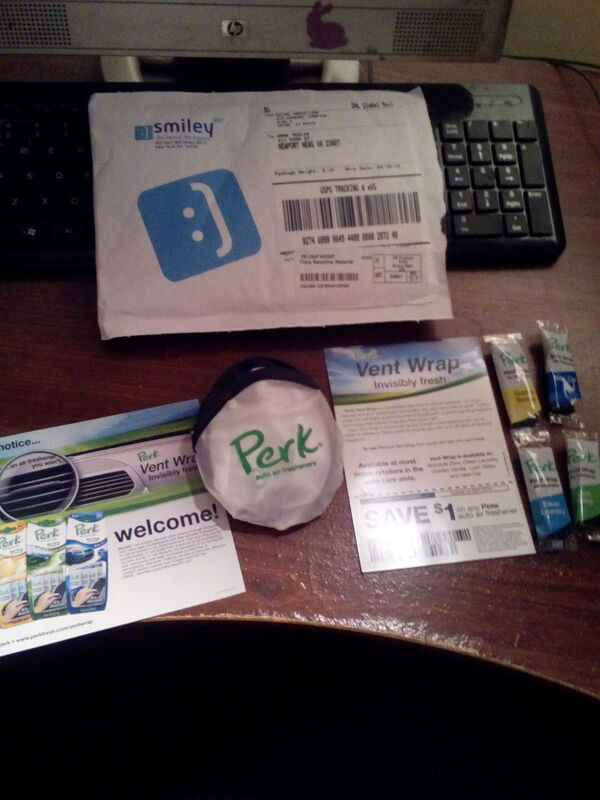 I got my free Perk vent clips through Smiley360! I got 4 flavors lol vanilla, new car, clean linen and lush valley! I started off with the vanilla because it isn't my favorite smell so I figured I would get that one out of the way. When I opened the package my nose was in awe! It smelled soooooo good! I immediately put it in my car. When I got up to go to work this morning my car smelled so good. I sat in paradise! I love good smellies in my car. 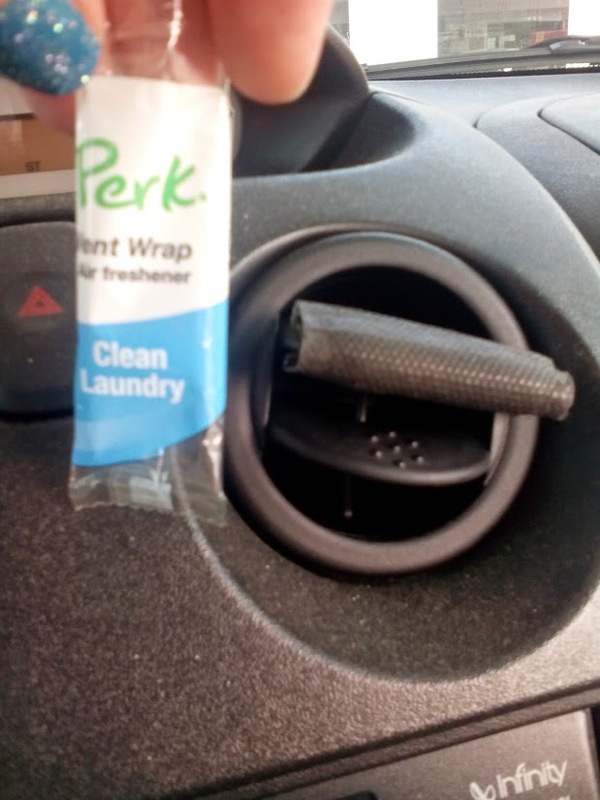 The Perk vent clips are perfect because they are small but pack a big punch! They don't get in the way like other vent clips I've used. Now we will see how long it will last! So far I am very impressed and am pretty sure I will keep buying the vent clips. Thank you Smiley360 for this awesome mission! So I am at the end of my Smiley Mission for the Perk Vent Clips and I have to say I really do like them!! They aren't so overpowering that they make you sick and they don't take up any space in my car! They are very discreet as you can see from my pic! The Clean Laundry was my fav, but i'm pretty partial to that scent. They all smelled amazing in my opinion. Although I love these, they didn't last as long as I would have hoped. The Vanilla only lasted about a week before I had to replace it, New car lasted a week before my husband stole it for his truck lol Clean laundry still has a bit left but I wanted to be able to try the Lush valley before my mission ended. I think these would work better in the cooler months because you can turn the heater on them and it releases the smell. With the heat we have been having in Virginia lately, I think they just dry out to fast in the car. If you would like to be a part of Smiley360 you can let me know or click the referral link! 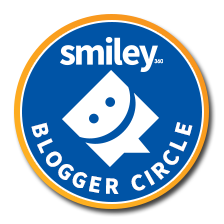 smiley360.com—Be Heard. Be Happy.. I just wanted to share this beautiful view from our house!!! Wonderful sunset to end a wonderful blessed day!